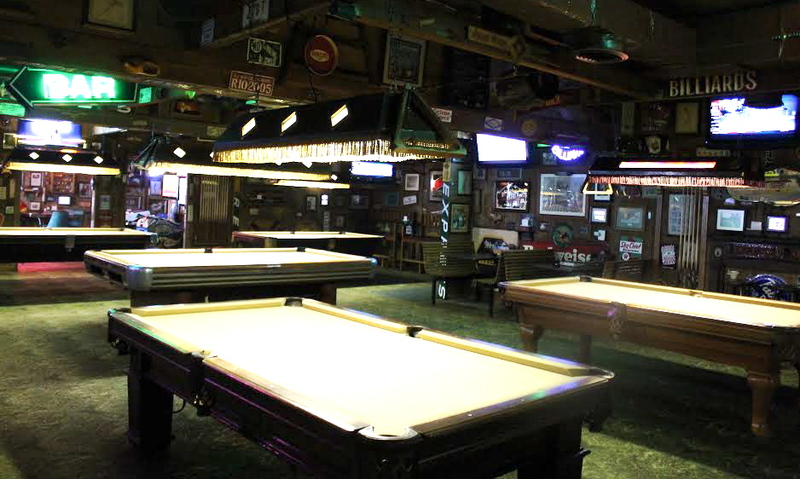 Sportstown Billiards is a neighborhood bar in the Milk District that serves lunch, dinner and lots of craft beers. 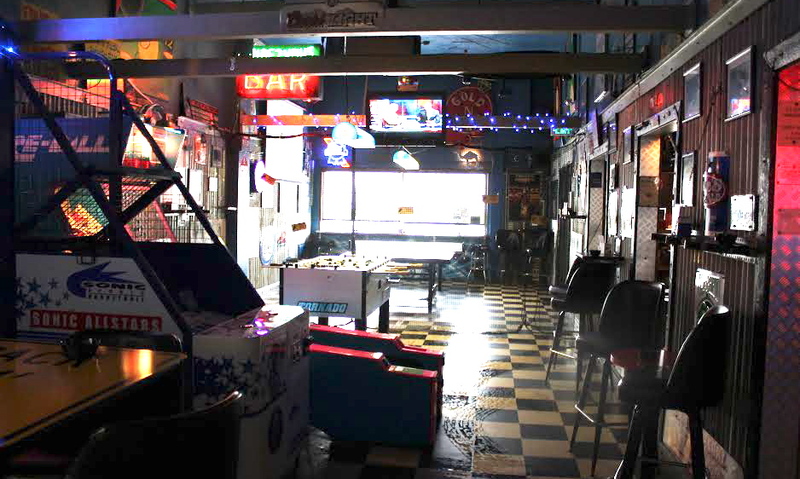 It’s also a mecca of games — electronic, bar, board and more. The menu has an extensive selection of wraps, sandwiches and subs, as well as lots of nachos and taco entrees, hot dogs, soft pretzels, boiled peanuts and more. Daily specials offered. The drink menu is dominated by more than 250 craft beers, conveniently organized by 45 types, such as Amber Ales, Barley Wine, Chocolate Stouts, Lagers, Meads, Fruit/Vegetable, Witbiers and more. There’s also sangria, white and red wine, malty beverages like Mike’s Hard Lemonade and Twisted Tea, and Kahlua Combos. 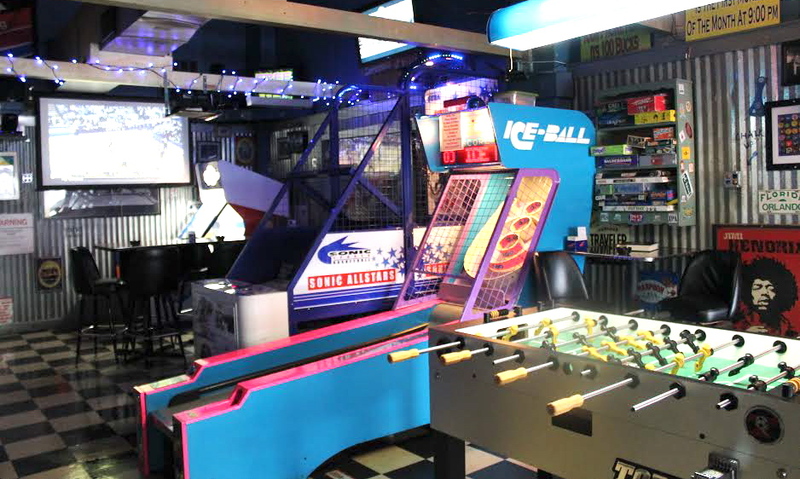 If you’re looking for something to pass the time, Sportstown Billiards has 15 TVs, free use of their 8 pool tables, ping pong, shuffle board, ping pong, skee ball, corn hole, darts, arcade games, and lots and lots of board games. There’s also outdoor seating, and the bar and eatery is dog friendly. 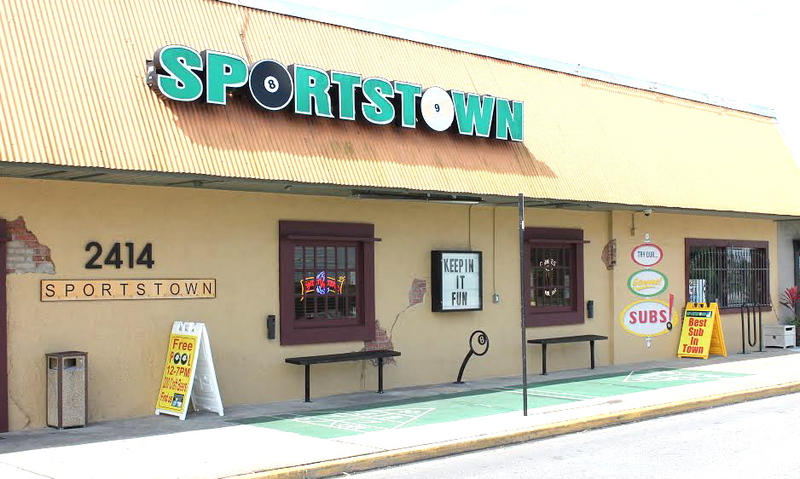 Sportstown Billiards is located at the intersection of Bumby Avenue and Robinson Street, next to Bull & Bush.